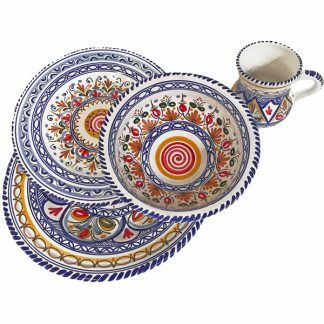 The From Spain Multicolor Collection is one of our most popular. 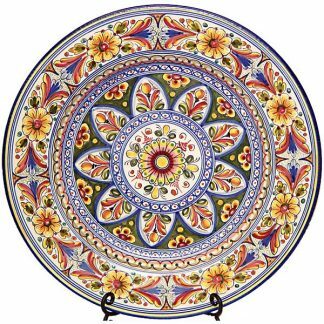 Various shades of blue, red, green and yellow are painted on a bright white background. 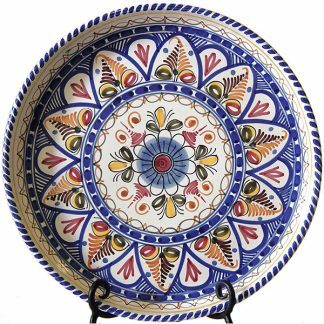 The pattern is modern and festive, yet still traditional Spanish. 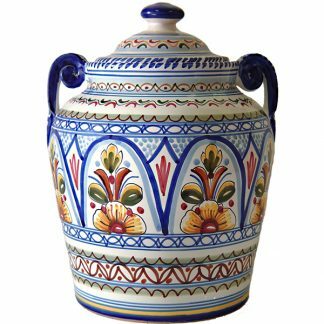 The geometric pattern can be seen on Spanish pottery for centuries, influenced by the Moors and the Romans. 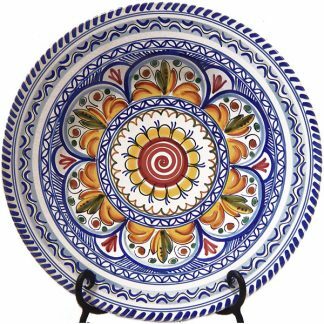 Each ceramic piece has been hand painted with a paintbrush by the de la Cal family in Toledo, Spain and all pieces are signed by the artist. 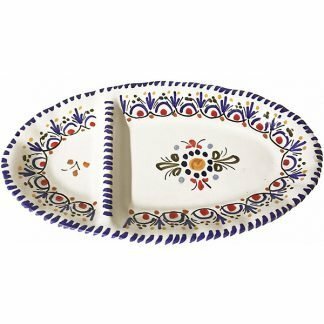 This ceramic serving dish is one of our best sellers. 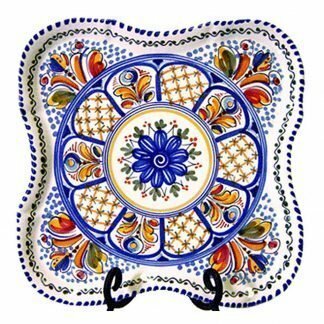 It has been beautifully hand painted in a small family owned factory in Toledo, Spain. 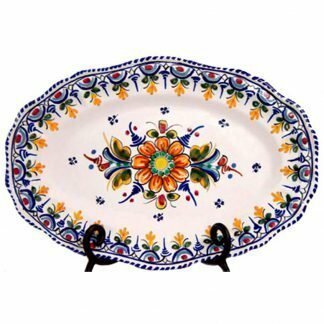 It´s size makes it perfect for serving a plate of jamon, pastries or side dishes. 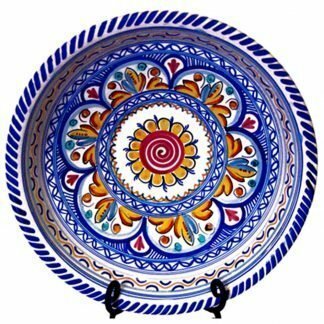 Each plate has been individually handmade and signed by the artist on the back. 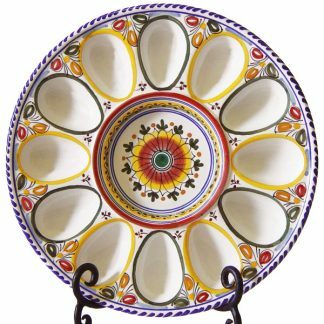 Holes on the back rim allow for hanging. 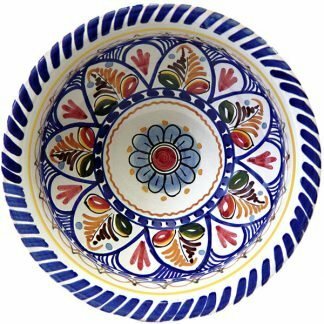 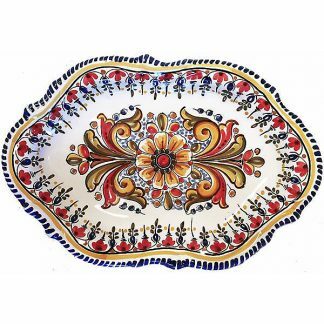 This pretty ceramic oval serving dish has been hand painted in a small family owned factory in Toledo, Spain. 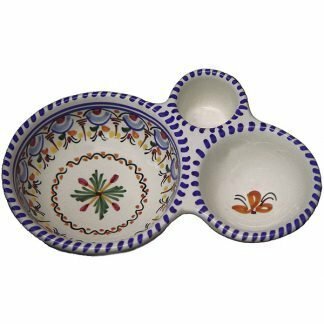 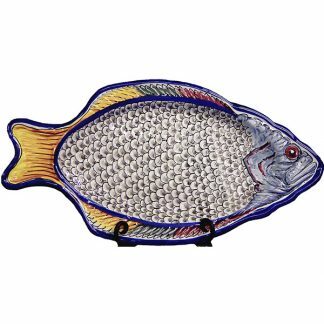 It is an ideal size for serving jamon, appetizers, cookies or sweets. 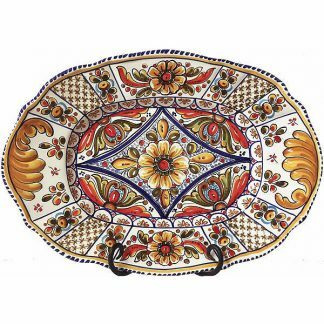 Each piece is individually handmade and signed by the artist on the back. 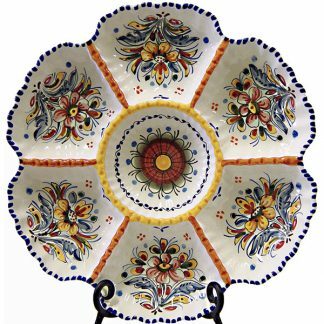 Holes on the back rim allow for hanging. 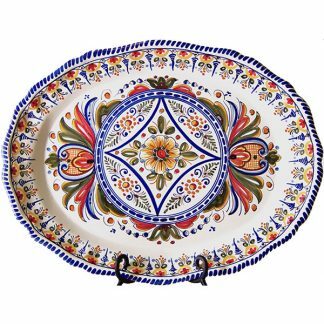 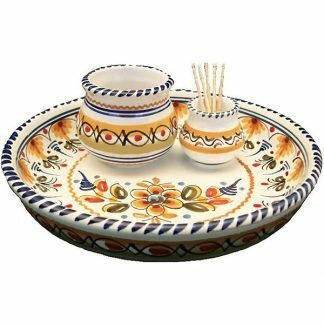 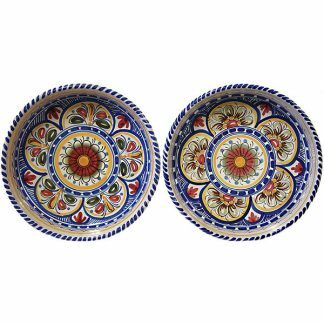 This hand painted ceramic plate can be used alone as a serving platter or as an oversized dinner plate for an elegant table setting. 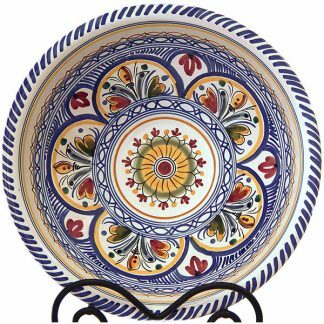 Everyone will ooh and ah at how beautiful your table looks! 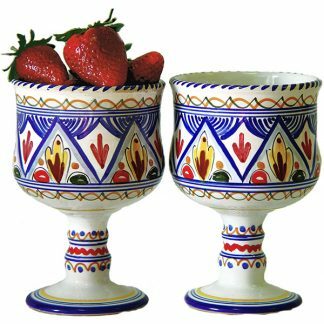 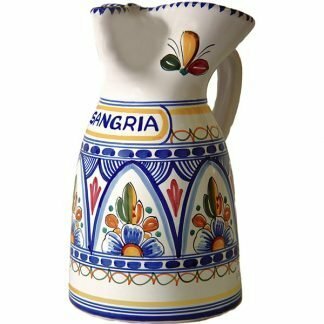 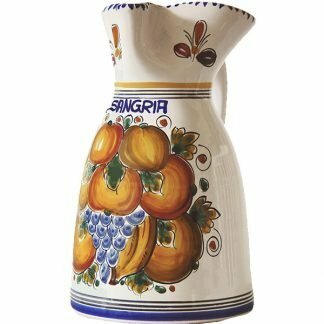 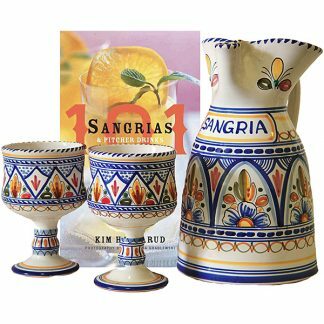 The traditional Spanish pattern has been individually hand painted at a small family owned factory in Toledo, Spain.